This is the car that Stirling Moss and Denis Jenkins drove to win the 1955 MM in record time. This will be a step by step building process of this model kit. 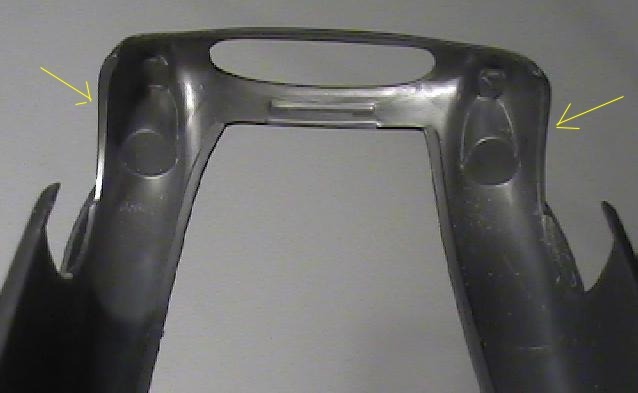 The wall of the fender has been thinned at the edge on the right side. The left side hasn't been modifide yet so you can see how thick this was initially. 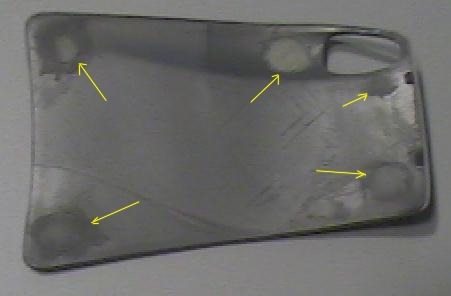 This area was thinned with an Exacto knife end files. The thin edge makes the model look more realistic. Here is a second view. You can see on the let side bottom how thick it is compared to the right side. 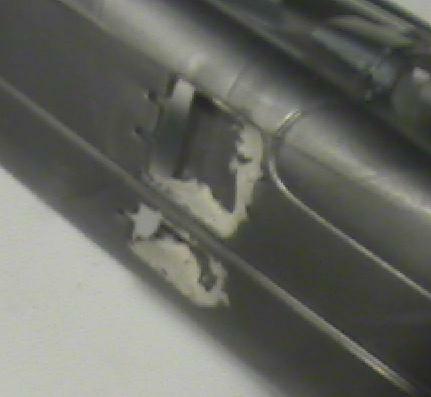 Here are the side vents filled with putty. Not a very good fit here. Try and play with the position to minimize the amount of puttying needed. The hood is a sloppy fit. I had to add a strip of white styrene to the edge to fill this in. A loose hood makes the model appear toy like. Here is the frame mostly built up. I wanted to assembly as much as possible and then paint it. This would make joints cleaner than having to repaint items after gluing something together. Later on I will have to install the cockpit and join parts to the frame. Unfortunately there is no way around it. 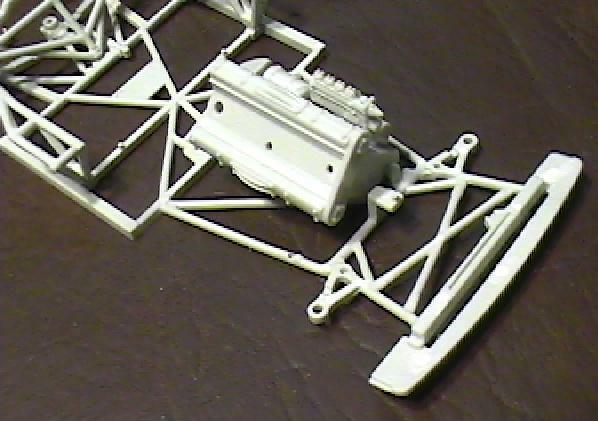 Here is the forward part of the frame with the engine block mounted in. The mounting points of the engine are very unique. 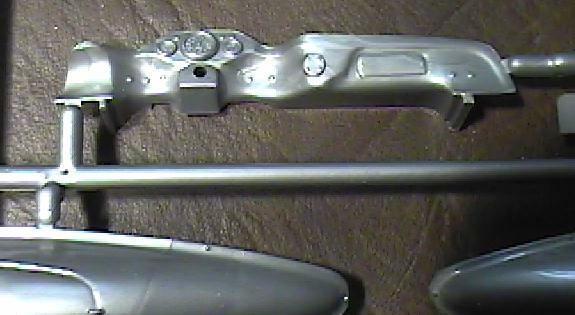 The front portion of the engine fits into a horizontal slot and the rear fits a vertical slot. This positions the engine at the correct location and angle. Here is the cockpit. 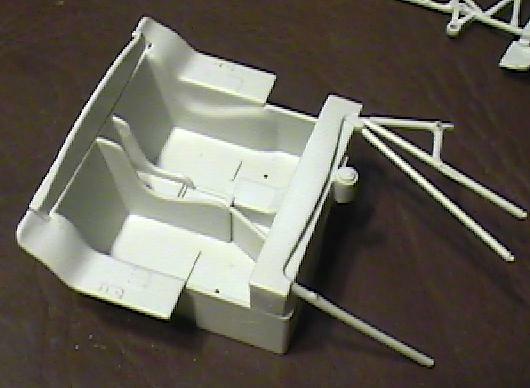 Unfortunately the frame parts sticking out the front will have to be assembled to the chassis later on. This means this join location will have to be filled and painted. Sometimes it isn't easy to make these points clean. 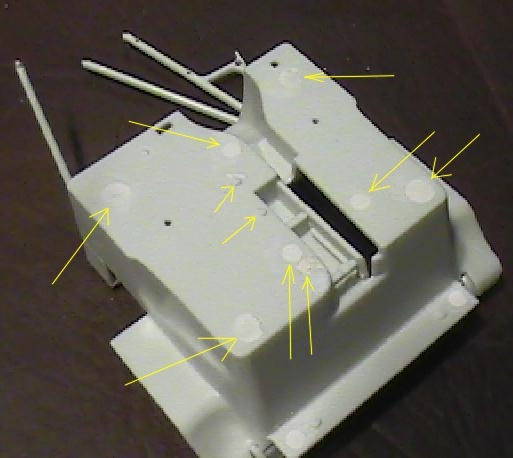 Here is the underside with a few locations that have to be filled. 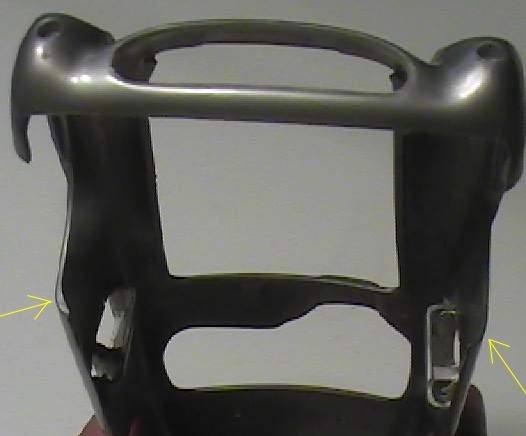 Most are ejector pin marks but a couple are assembly pins. 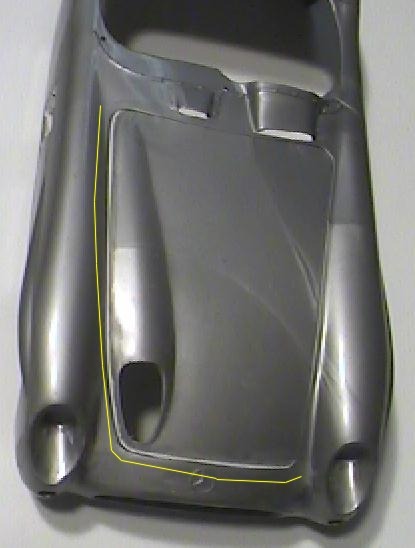 This bottom is very visible if someone looks underneath the model. 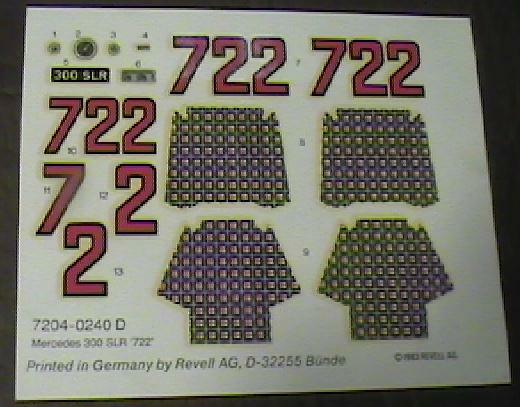 Here is the yellowed decal sheet. I have been told that the numbers are too big. The seat decals in my kit are off register so I will have to replace them. 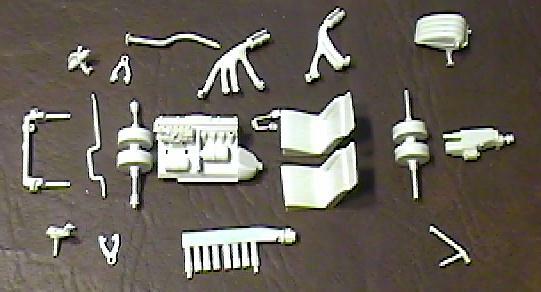 Here are the various internal parts that have been cleaned up and filled. 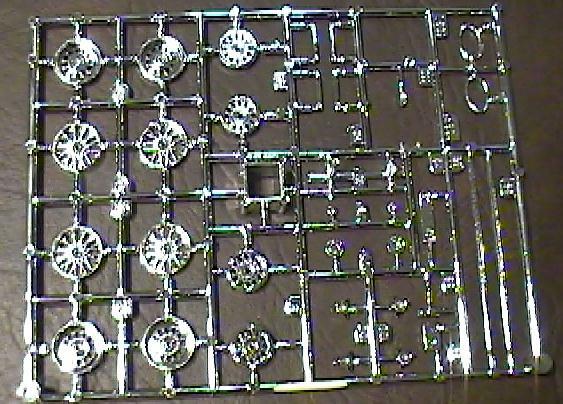 Here is a close up of the instrument panel on the sprue and before any modifications. Here is a place that you can really detail up with minor work. Here is a location that a lot of people will look at. 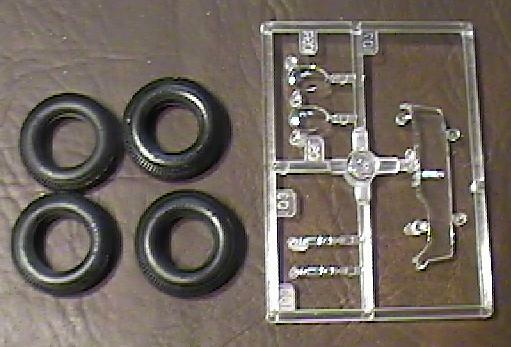 Here are the tires and the clear parts.